Are you considering updating your driveway for a more modern style, fresher look, or more practical layout? 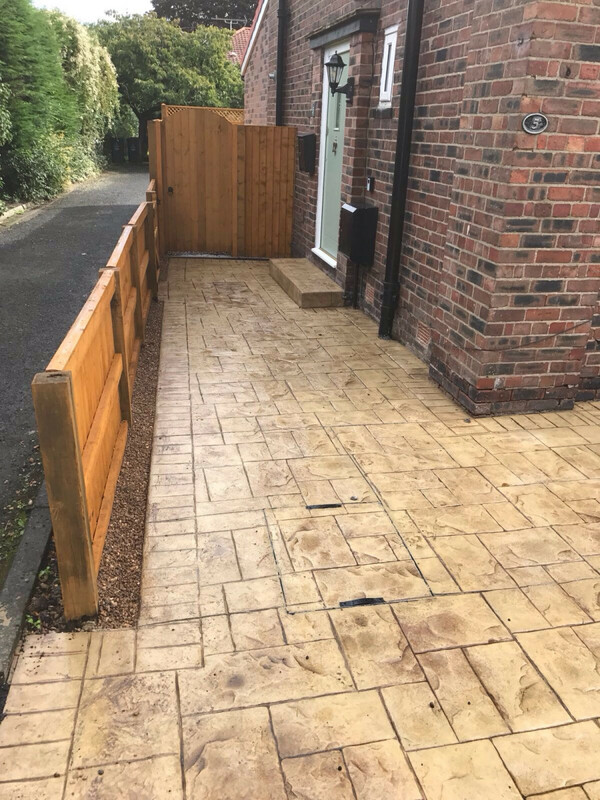 You may be thinking “yes” to that question but not sure whether to bother if the space outside your home is very small……………well think again! Lasting Impressions recently completed a project in Bowden. The space to the front and side of the house was very small and included a narrow strip of land leading to the door on the side of the house. You could be forgiven for thinking that with such a small space the options are limited, however it’s the opposite, there is lots of choice! In this instance, our client opted for a sandstone with walnut release driveway printed in ashlar. This colour and style created the illusion of space around the house and complement the existing brickwork of the house. A substantial step outside the side door was an added feature along with a recessed manhole which is hardly noticeable. You can see the beautiful results from the pictures included. This example shows that size doesn’t matter. Whatever the measurements of your driveway, big or small a space can be transformed and not only improve the appearance of the driveway and parking area but also present your home in a much more attractive manner. Excellent. All every accommodating, nothing was too much trouble. Would definitely recommend to anyone. Friendly, helpful team. I am please with the new drive! Excellent. We feel that we got advice and help in selecting the right product for our needs. The installation team were also excellent. Well done. Did a good job, polite team. Excellent group of workers. Friendly and dedicated. The service provided was excellent. 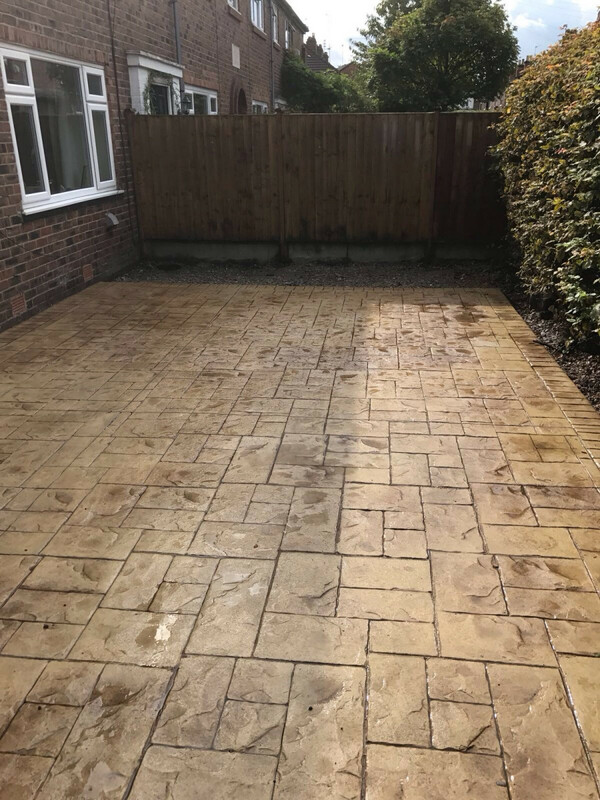 The team who did the preparation, pouring and finishing of the driveway did a brilliant job and were extremely pleasant workers to deal with. They put forward suggestions regarding the shaping of the driveway which added to the aesthetic appeal. I would recommend the service and this team to anyone considering a new drive. Great job – has attracted a lot of attention. The team were first class. The job they did was absolutely superb and I am highly delighted with the end product. I will certainly recommend you and your work to any of your future customers. I found the team brilliant, very helpful, well mannered. I could not ask for more. I am pleased with the result and it makes my life a lot easier and of course it looks brilliant. Beautiful pattern Imprinted Concrete Driveway in Timperley!